In this joint blog from the Environment Agency and the Met Office, we look at the issue of so-called ‘super tides’. There has been a lot of media coverage about the potential impact of so-called ‘super tides’, which are due from today (Friday, 20 February) through to Monday. However there is a longer cycle at work too, associated with the gravitational pull of the planets in the solar system. This means we can see additional, albeit relatively small, increases and decreases in the size of spring and neap tides over long periods of time. We are currently at the height of those increases, so the astronomical tide is at an 18-year peak – although this is only a few centimetres bigger than a more average spring tide. It’s important to realise that just because we are expecting big astronomical tides over the next few days, these won’t cause the highest sea levels we’ve seen – even in the last few years. That’s because the weather can have a much bigger impact on sea level than the 18-year tidal cycle. On the 5 December 2013, for example, the weather created a storm surge that increased the water level by up to 2 metres. Although an estimated 2,800 properties flooded, more than 800,000 properties were protected from flooding thanks to more than 2,800 kilometres of flood schemes. The Environment Agency also provided 160,000 warnings to homes and businesses to give people vital time to prepare. Will we see coastal flooding this weekend? Given the height of the tides there may be some localised flooding. 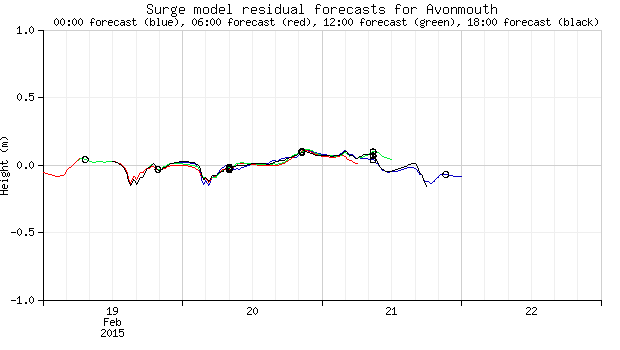 Weather isn’t playing a large part in water levels over the next few days, although strong winds on Monday are likely to generate some large waves and push up sea levels slightly. This is nothing unusual for winter. You can see more about what weather to expect with the Met Office’s forecasts and severe weather warnings. In the Humber Estuary, for example, we are expecting total water levels of between 4.20-4.39 metres – well below record levels of 5.22 metres. John Curtin, Environment Agency’s Director of Incident Management and Resilience, said: “We are monitoring the situation closely with the Met Office and will issue flood alerts and warnings as required. “It’s possible we could see some large waves and spray and urge people to take care near coastal paths and promenades and not to drive through flood water.